I really need to apologize to all of you. I think this is the first post since hmmmm…geez, I don’t even know when. That’s bad. That’s real bad. Nice motivator I am. I promise to get better. I need to get in my groove again. Instead of fretting about some sappy story to tell you on why I love artichokes so much, I will just tell you about my day-to-day go-alongs. Sounds ok, right? 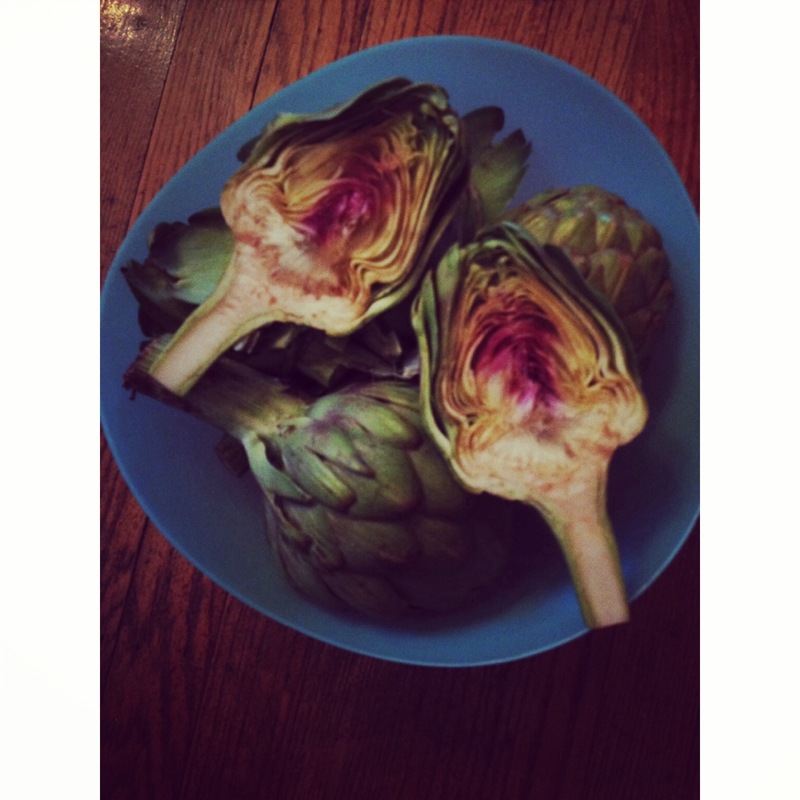 About artichokes, though…I do love them. They are unfreakingbelieavably tasty. I will try to come up with a bunch of artichoke recipes until you say, “What the hell? Another artichoke dish?” Well, maybe I won’t go that far. 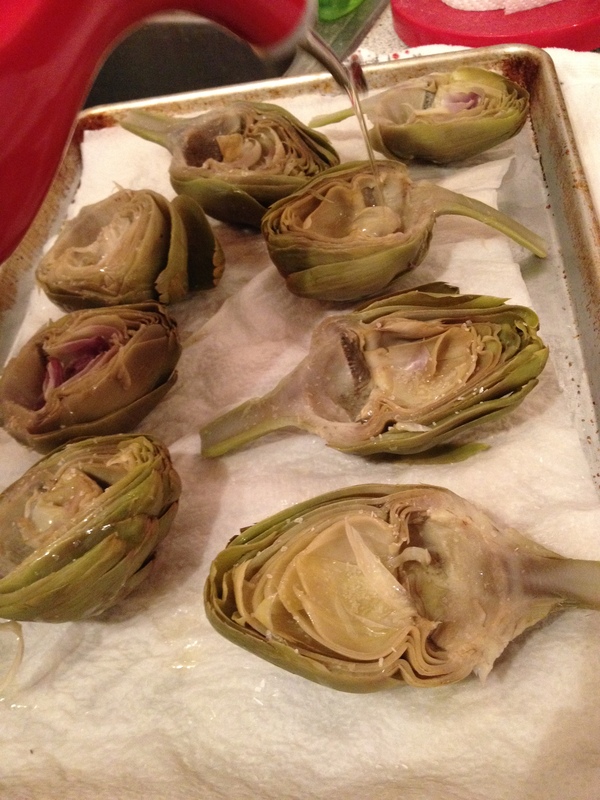 But this is my first artichoke recipe that I am posting and for sure it is a good one. How many times can I say artichoke? Now I know why I haven’t posted in eons. I was doing you all a favor. Bring a big pot of water to a boil. Add salt and juice of 1/2 lemon. 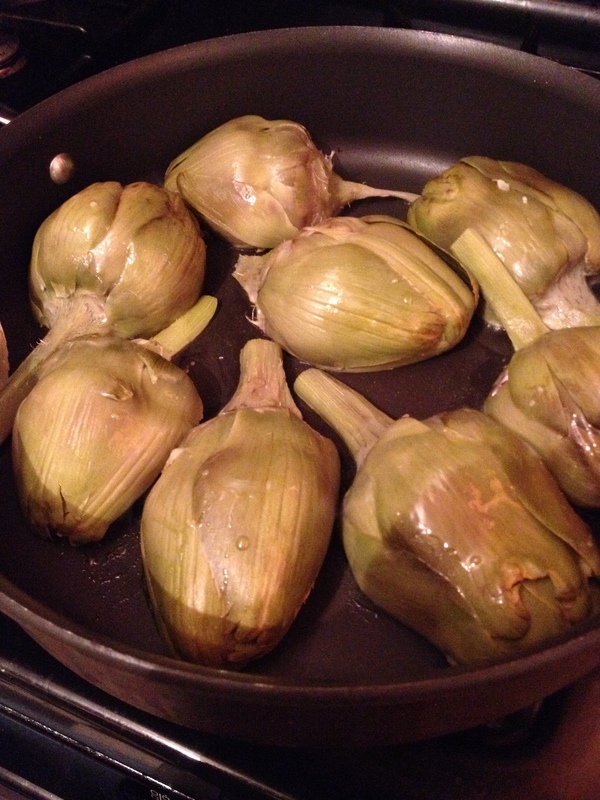 Add halved and cleaned artichokes and boil until tender, about 15-20 minutes. 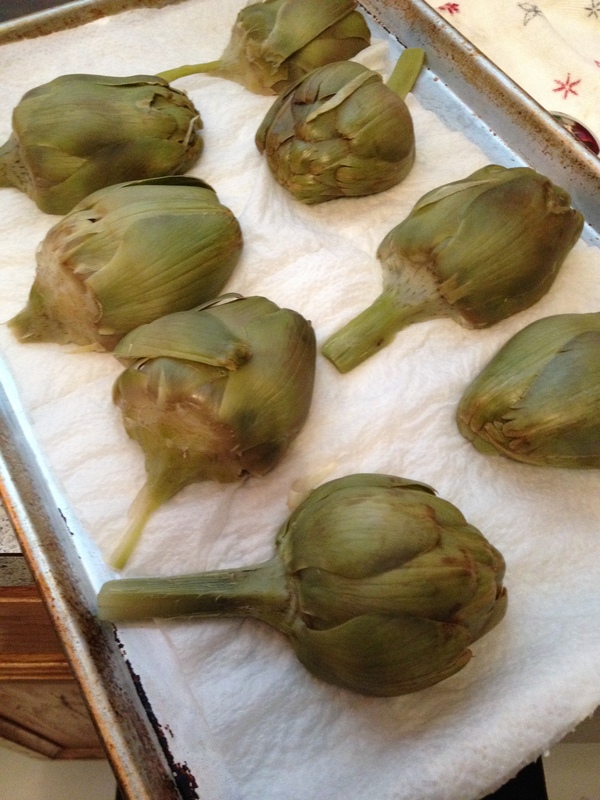 Once tender, drain the artichokes and place on a jelly roll pan layered with paper towels to let cool. Once cooled, pour olive oil over top and sprinkle with salt and pepper. Heat a large nonstick skillet. 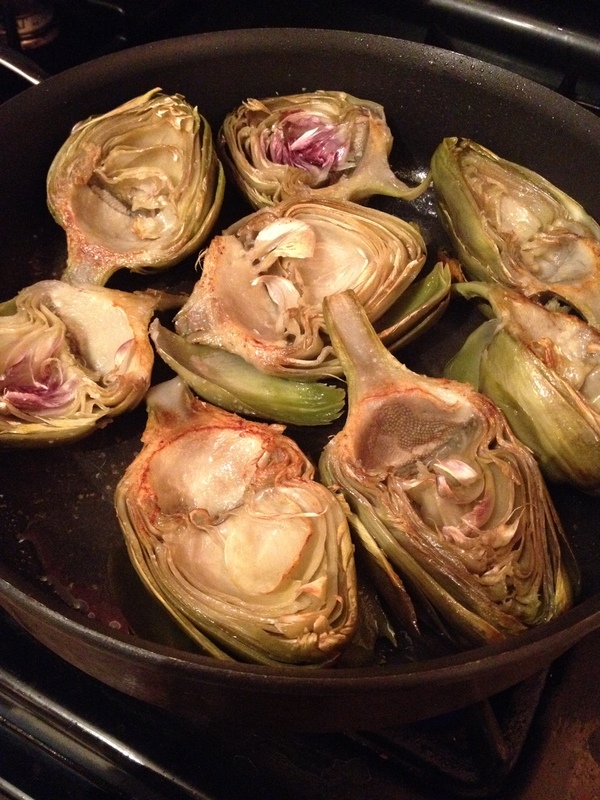 Place artichokes flat side down and pan-sear until golden brown, about 5 minutes. Turn over and repeat on the other side. Serve with Dip and eat your face off.